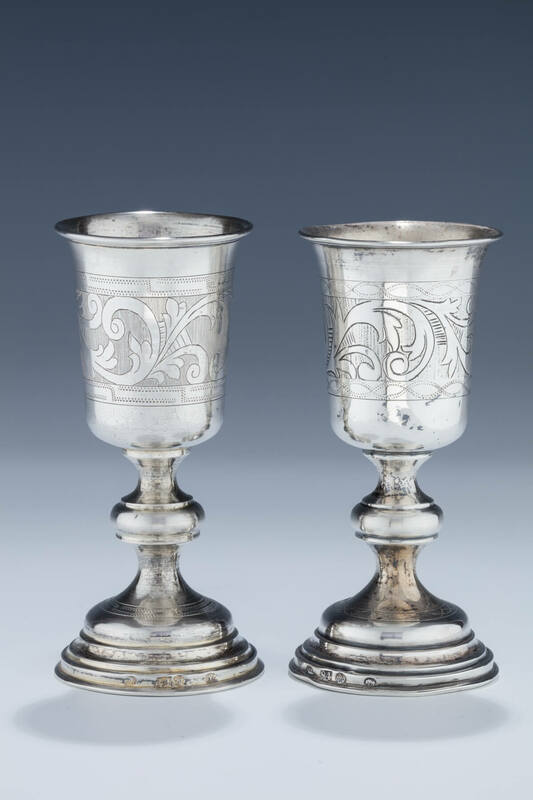 A PAIR OF SILVER KIDDUSH GOBLETS BY ISAAC GOLDMAN. Warsaw, 19th century. Each on round base and knobbed stem. Upper portion engraved with swirling design and empty cartouches. Marked and signed. 5.6” tall each.